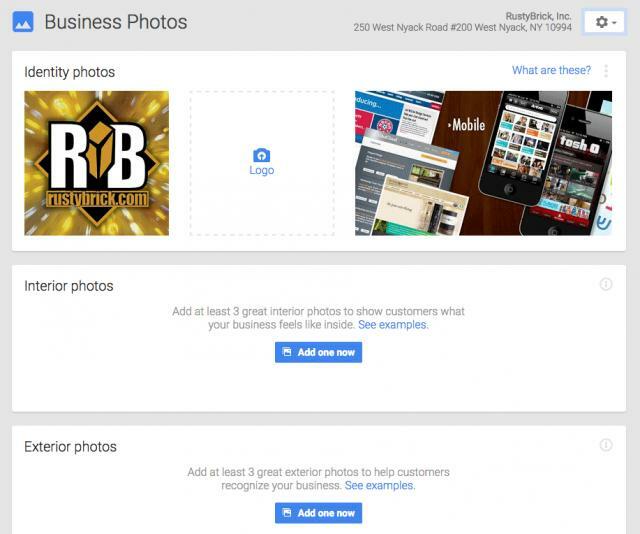 Google announced a significant update to how they enable business owners to manage the photos of their business within their Google+ Business Profiles. To do so, go to Google My Business on the web or in the Android or iOS apps and click on manage your profile. Then click on the photos button and you will be able to manage an array of photos including identity photos, interior photos, exterior photos, photos at work, team photos and additional photos. Aspect ratio: The longer dimension of the photo should be no more than four times the shorter dimension. Landscape photos look better than portrait photos on Google products. Panoramic photos may use different aspect ratios. Quality: The photo should be in focus, well-lit, have no photoshop alterations, and no excessive use of filters. The image should represent reality. There are actually a ton of business photo categories, which you can see here and more help on this over here. Forum discussion at Google Business Help and Local Search Forum.